WT 2/c Charles J. Brannon, son of Mr. and Mrs. C.F. Brannon, graduated from Manitou High School; husband of the former Doris Hodgson. 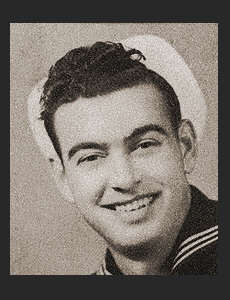 Entered the Navy in 1942, trained in San Diego, Cal. ; served in Somda Is., New Caledonia, Guadalcanal, New Zealand. England, Africa, S. Amnerica; Awarded Good Conduct Medal.